When asked if an independent Scotland would make any difference, the only noteworthy change was a rise to 12% in those wanting independence, and a corresponding fall in those wanting the ‘devo max’ option 2. The peculiarity is in the loaded, answer-prompting menu on offer, nudging respondents down preordained tracks. Note how two of the five options, 40% of what’s available, are tailored to anti-devolutionist opinion – a gross inflation of their weight and importance revealing the underlying stuctural bias. Option 4, a position that has no adherents on Planet Earth, seems to be there simply to resurrect the dead and buried ‘just say no’ tendency. And note the way option 3, the current reality, is strategically positioned as the sensible, centrist axis around which the other options pivot, thus setting the parameters of what’s possible while dispatching contrary views to the fringes. This crystallises an abiding BBC problem. Since it is legally bound to be “impartial”, and since there can be no unanimous agreement on what would constitute impartiality, the Corporation always ends up tracking the middle ground – defined as whatever the status quo happens to be, for want of any other workable definition. This leads inevitably to the trademark BBC all-is-for-the-best-in-the-best-of-all-possible-worlds approach, drowning the UK in bogus, Panglossian, happy-clappy, consensual treacle. And because the alternatives to a “neutral” public service broadcaster are so dreadful – news and opinion overseen by likes of Rupert Murdoch – we’re pathetically grateful for this prissy eggshell-treading. Here, perhaps, is a reason for the notorious passivity and conservatism of the “British” over the last 100 years. 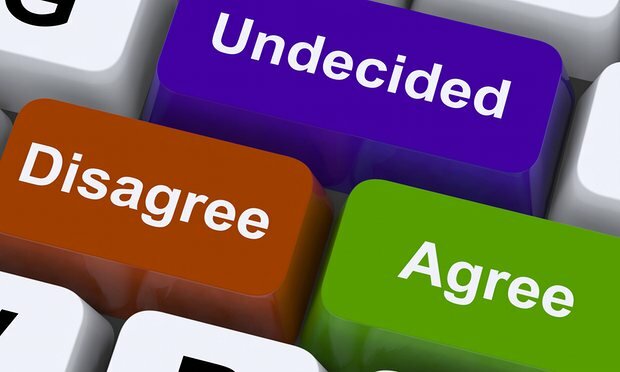 Constructing the poll this way, the ‘devo max’ option moves into pole position from the margins – and the human impulse to conform would doubtless take support for it to tipping-point quantities that even the ConDems couldn’t ignore. Answers indeed depend on the questions. From that 10% foundation, a Plaid Cymru at last committed to putting the case for independence should be able to build support for the idea to 20% over time, especially with Leanne Wood as leader to widen Plaid’s demographic. Then real creativity and inventiveness will be needed to push on to the clinching 51%. Off the top of my head here’s an idea that has never been tried anywhere and would perfectly suit Wales, where everyone is just two removes at most from everyone else (ie: if I don’t know you, I will know someone who does). The BBC/ICM poll takes no account of Wales’ huge army of missing voters – those who don’t vote, those who don’t register, the homeless and under-18s. Together they make up over 40% of the Welsh population. Disenfranchised and with no stake in the UK, they should be ignored no longer. The identification and targeting of non-voters, a door-to-door campaign to register everybody, and a default registration address in each constituency for the homeless and those who want to remain beyond the authorities’ reach should be combined with specific pledges tailored to each missing voter’s individual needs that would be legally redeemable when Wales achieves independence. Not only would this hugely crank up support for independence, but also it would elegantly counterbalance the British State’s sordid democratic deficit, that long, disgraceful track record of dispossession, extortion, bribery, vote-buying, vote-selling, protection rackets, corruption, gerrymandering, vested interests, nepotism, lies, broken promises, lobby fodder and unelected power. Allied with sustained campaigns to reduce the voting age to 16 and allow voting at home for Assembly elections (London retains control over Wales’ voting systems), a lucid, irresistible message would spread: in an independent Wales, for the first time, we will be citizens not subjects and all of us will count.